With hundreds of millions of daily tweets and search inquiries in the United States alone, Twitter is rich with conversations and news updates. Our USA Twitter Trends of the Week chart captures the top 10 discussions and break them down trend by trend. It’s that time of year again… and this time the St. Louis Cardinals and the Boston Red Sox are stepping up to the plate. Both teams are currently tied at one win apiece in this best-of-7 series, and both did so by taking advantage of the opposing team’s sloppy fielding. This is likely to be the last World Series where instant replay isn’t available to review calls. Next year, Major League Baseball intends to make everything except balls-and-strikes subject to review. We’ve already seen a couple of rulings this postseason that umpires might have reversed with another look. Keep an eye out though, there are bound to be a few more close calls that will get fans buzzing! 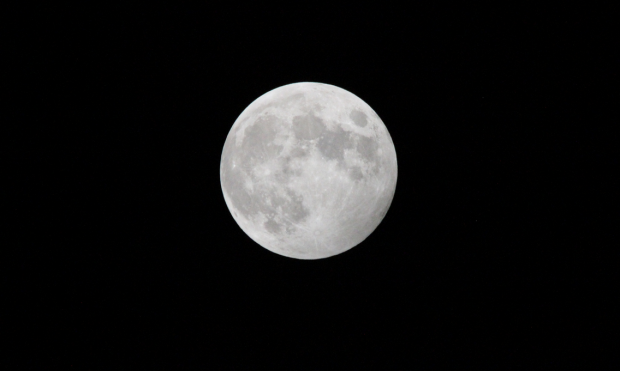 Americans were excited to see this weekends penumbral lunar eclipse in their starry skies. A total lunar eclipses happens when the sun, Earth and moon align– engulfing the moon in Earth’s shadow. During a partial eclipse, the moon never completely turns dark, only a portion seems to darken. Coinciding with this month’s full moon (The Hunter’s Moon), this lunar eclipse is not as striking as a total, or even partial eclipse of the moon. Viewing the eclipse this month was much better in Europe and Africa, given that it was still partially light out during the hours that the eclipse peaked. However, American’s kept their eyes on the sky and captured some amazing images. If you think the Retina MacBook Pro, the new OS X Mavericks update, and the new Apple iPad Air could have been the reasons we were seeing Apple trending this week, you wouldn’t be completely wrong. You would also be right in saying that it trended because Billionaire Carl Icahn has asked Apple to begin an immediate $150 billion buyback offer. In a letter to Apple CEO Tim Cook, Icahn praises Cook’s leadership, but says the share buyback needs to be substantial. Icahn’s stake is now 4.7 million shares, making his total roughly worth $2.5 billion, a source told CNBC. The criticisms are directly towards the size and timeframe of Apple’s buyback program, requesting that it should be much bigger and immediate. Twitterers expressed their feelings of sadness after a Nevada Middle School shooting this week. A 12-year-old boy fatally shot a teacher and wounded two schoolmates before turning the gun on himself on Monday. The boy arrived on school grounds early that morning and attempted to enter the school building. Police have yet to state what the motive would have been, although they are looking into bullying being a possible cause. “Kimye” is topping the charts again after news broke on Tuesday that Kim Kardashian accepted Kanye’s marriage proposal. In true Kanye fashion, this proposal was nothing ordinary- the rapper rented out San Fran’s AT&T Park, along side a 50-piece orchestra and “PLEEEASE MARRY MEEE” flashing across the scoreboard. This is the third time Kim has said “yes” to a proposal, and of course Twitterers wanted to know about the bling (a $1.6 million 15-carat diamond engagement ring). Another tragedy had Americans tweeting their condolences, thoughts and prayers this week after 24-year-old algebra teacher Colleen Ritzer was killed by one of her students at a high school in Massachusetts. Ritzer was extremely active on Twitter, sending her students a steady stream of encouragement, sympathy and jokes. This trail of tweets showed her thoughtfulness and enthusiasm through good luck messages and the occasional math joke (to ease the inevitable algebra pains). “Everyone that knew and loved Colleen knew of her passion for teaching and how she mentored each and every one of her students,” the family said. See her stream of wonderful tweets here. Want to check in on Twitterers around the globe were talking abut this week? Check out our Global Twitter Trends of the Week.